Kit DesLauriers, a champion skier and the first person to ski down the highest summits of every continent, shares her knowledge of training and supplement use to perform at high levels. Many outdoor enthusiasts put their bodies to extreme levels of performance without really thinking about the consequences of their actions. Sure it’s fun to climb an ice waterfall, ski down a 12,000 foot peak or even jump off hard packed ramps on a snowboard all day long. But your body often pays the price if you don’t properly train and supplement it with the nutrients it needs to recover. 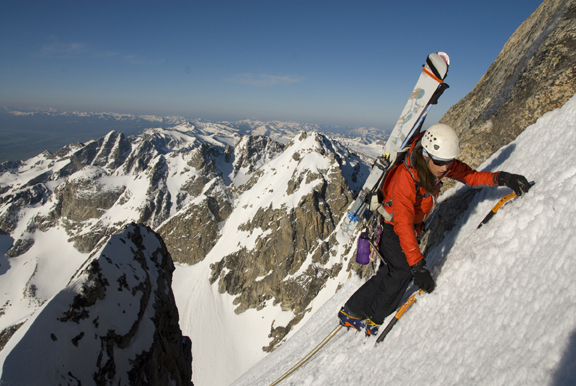 Kit DesLauriers knows first hand the toll that skiing and climbing can have on your body. Hiking up some of the world’s tallest peaks and skiing down them is a feat in itself; especially when she became the first American and woman to ski down the summit of Mt. Everest. With this kind of achievement, DesLaurier’s experience proves that training and supplementation are key to achieving the performance you’re looking for and reducing the chance of injury. Nutriex Sport is a multi-vitamin that contains glucosamine and chondroitin, as well as minerals, vitamins and natural antioxidants that can help with recovery. Amazingly after recovering from her knee injury, DesLauriers went on to win the women’s World Free skiing Championships, in 2004 and again in 2005. DesLauriers is also a certified Wilderness Emergency Medical Technician, a Telluride Professional Ski Patroller, a Rescue 3 International low to high angle rope rescue instructor, and a Helicopter Rescue Technician. DesLauriers and other outdoor athletes, agree that adding proper nutrients and rest to your extreme outdoor activities will ultimately keep you injury free and at peak performance. 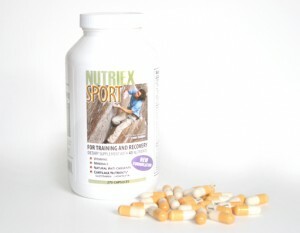 For more information on an outdoor specific multivitamin like Nutriex, visit www.nutriex.com.